We go into their home and we teach them how to cook, budget and shop. We teach them how to launder their clothes. We teach them how to take the bus, and how to get back and forth to different things in the community. I think personally it would give me a great feeling to know that Beth had a place she could call her home long after we were gone -- and I know that is true of other parents that we know. The neatest thing about living in my own place is cause I love it here... I can do things on my own. My dream was always living in a house and I got that dream, and I made that dream come true. I really like it. This is the best place I ever lived, and my Dad was so happy when we found out about this program and found this place. At HOPE, we know that your attention and energy is divided among so many priorities. Family, work, and social obligations can leave little time to consider additional community needs. So it is moving that at the end of each year HOPE donors take a moment to reflect on our mission and make the decision to support our work. Thanks to you, HOPE had a busy 2018, reflected in our purchase of eight new housing locations in Long Beach and Torrance that now serve 34 people with I/DD. These homes change lives. To cap off this impactful year, our End-of-Year Giving Campaign raised more than $7,200 to continue propelling our mission forward in 2019. HOPE appreciates each and every one of you who contributed to our End-of-Year Giving Campaign, as well as those who gave in other ways throughout the year. You helped finish Scott’s journey to find stable, affordable housing. It’s not too late to support the creation of future HOPE homes through our End-of-Year Giving Campaign. Make a gift here today! The success of HOPE’s mission relies upon the community’s belief in our cause and their subsequent direct financial support for our work. This was exemplified in 2018 by two generous groups of benefactors who hosted events for their friends, families, and colleagues to raise money to empower HOPE to continue the work of acquiring and renovating stable, affordable housing for those we serve. These benefactors are members of HOPE’s Ambassadors 5 Circle: an engaged, activated, and excited group of donors who have each given $5,000 or more as vital support for HOPE. 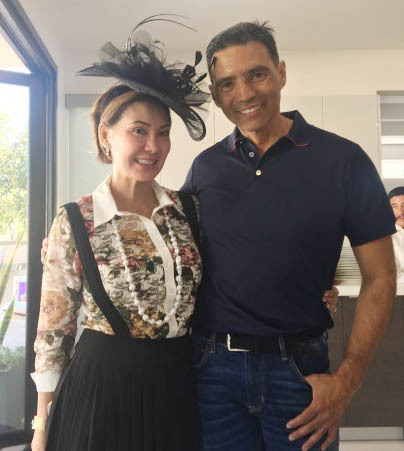 A huge thank you goes out to Ricardo and Minnie Banos who hosted a tea party at their home on June 2nd and Sindee Smolowitz and Peggy Eaton who hosted Sindee’s birthday party at their home on August 26th. Each of these special occasions was specifically planned to benefit HOPE. Combined they raised more than $25K for our mission. We applaud Ricardo, Minnie, Mercedes Lowery, Sindee Smolowitz and Peggy Eaton on their creativity in organizing these unique opportunities for their communities to contribute to our cause. The Banos’ afternoon event in Cypress was a lively high-tea and cocktail party that extended into the evening when dinner was served. There were more than 50 guests in attendance, and the festivities included a silent auction and raffle. At the end of the night, Minnie, Ricardo and Mercedes directly asked those in attendance to consider a gift to HOPE. Sindee Smolowitz’s Birthday Party was hosted in the home she shares with her wife Peggy Eaton in Long Beach. Food was served casually by a vendor who prepared Mexican cuisine, including tacos. There were 40 guests in attendance to celebrate with Sindee and support our work. This casual outdoor event lasted into the evening when Sindee made a special appeal to her friends to donate to HOPE in lieu of a birthday gift. These hosts were so generous that they also donated the food and beverages for their events so that HOPE would receive the full proceeds without a single expense to our organization. We are so lucky to have such warm and thoughtful benefactors. The donations received from these and other events in 2018 will directly go toward initiatives, such as the completion of the renovations at HOPE’s most recently purchased building in Long Beach. Starting in 2019, this new HOPE location will be home to seven residents with developmental disabilities. Thank you to all of our donors who helped to may this year such a success. If you are interested in supporting HOPE by hosting a benefit event. Please contact Manager of Donor Relations Jennifer Byram at Jennifer.byram@hope-homes.org or (310) 543-0635. Each year during the holiday giving season, HOPE is astounded by the generosity of our community. This year we launch our End-of-Year Giving Campaign with a goal set to raise more than $11K to support our mission of creating stable, affordable homes for people with developmental disabilities. Donations made through our End-of-Year Giving Campaign will directly fund renovations at our newest property on Redondo Ave in Long Beach. These units are set to open in 2019 and will be home to seven people with developmental disabilities moving out of less-independent settings. This campaign always offers community members several ways to support our mission. Starting in November, HOPE constituents will receive a letter and email from HOPE Board Member Kelly Sutton sharing her reasons for supporting our work and providing an opportunity to give. Next up is #Giving Tuesday on November 22nd, which will provide donors with a way to give back online and through Facebook. #GivingTuesday is a day of philanthropic celebration taking place on the Tuesday following Thanksgiving, Black Friday, and Cyber Monday. This event kicks off the charitable season when many people focus on their holiday giving and search for different ways to be generous. Remember to consider HOPE! 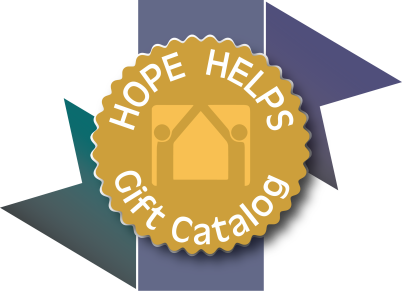 Finally, in early December, our HOPE Helps Gift Catalog will be emailed to donors to allow them the chance to choose a home gift item or renovation project to benefit our residents, while simultaneously honoring a loved one with a free personalized holiday card. Items can be selected that improve mobility for our residents (such as ADA sinks), support increased self-reliance (like washers & dryers), or assist with socialization (like patio furniture). We will send a complimentary card with every HOPE Helps Gift Catalog purchase you make to let your family and friends know about the special donation you gave in their name. Give today and become a hero in the lives of our residents! Your contribution will directly empower HOPE to create more housing stability for our most vulnerable neighbors. To access the many ways to support the End-of-Year Giving Campaign, click here. On a clear, cool morning in Seal Beach, HOPE, Inc. welcomed more than 140 golfers and 55 sponsors to beautiful Old Ranch Country Club for its 11th Annual Charity Golf Classic. The yearly theme of this event is “Creating Independence,” and the 200K raised through the tournament goes directly to empowering people with intellectual or developmental disabilities (I/DD) through housing to become valuable, contributing members of their communities. It is the dream of many people with developmental disabilities to one day live with greater independence in an affordable home of their own. Unfortunately, the current housing market is not creating sufficient affordable housing to meet the needs of many Californians’ with low-to-moderate incomes. Today, an individual with I/DD earning minimum wage would be required to work 92 hours a week to afford a modest one-bedroom apartment at fair market rent. For eleven years, HOPE’s Charity Golf Classic has raised significant financial resources to address this issue in Los Angeles County. Titanium level sponsor California MENTOR contributed $15K alone to support this cause, while Ambitions California, City National Bank, Patricia Del Monico, Integrated Life, LRA Interpreters, and Social Vocational Services each contributed $10k to assist in creating future HOPE homes. “The tournament makes such a great impact in the community and ends up being one of the best charity golf tournaments in the region,” he adds. As the golf action concluded in the late afternoon, more than 80 additional guests from the philanthropic community arrived for the sold-out tournament dinner. This premier Southern California fundraising event offered attendees the chance to support HOPE’s mission through a silent auction and opportunity drawings for vacations to Pebble Beach, Carmel, and Palm Beach, as well as scores of other prizes. Due to the passionate support of these attendees, the “day-of” donations through these activities surpassed $25K alone. Dinner corresponded with HOPE’s “Creating Independence” program where guests heard from HOPE Executive Director Kristin Martin as he shared organizational accomplishments from the previous year. These include the purchase of three new properties in Long Beach that will house 11 people with developmental disabilities and the completed renovation on two new 24-Hour Residential Care Homes in Carson that now serve six people with increased medical or behavioral needs. Closing out the evening’s program was a speech by HOPE resident Eric Cline, who spoke to how his affordable College-to-Career home has given him the opportunity to succeed in school and life. “Living on your own is like riding a bike for the first time without training wheels,” he said. “At first you don’t think you can do it, but then once you start peddling on your own, you realize you can.” Eric spoke to how his HOPE housing serves as the foundation of his growing independence. Since establishing this annual tournament, more than a decade ago, HOPE has raised $1.4M to create stable, affordable housing for people with developmental disabilities. Today, we operate more than 110 homes that serve more than 330 people with I/DD in Los Angeles County. HOPE thanks its golfers, dinner attendees, sponsors, donors, and volunteers, who each year rally together to ensure this event has the greatest impact possible on the community. If you are interested in supporting the mission of HOPE, please consider making a donation to our End-of-Year Giving Campaign at www.hope-homes.org. On the morning of Wednesday, September 5th, HOPE’s newest College-to-Career (C2C) housing on Clark Avenue was a buzz with community leaders, residents, volunteers, neighbors, and staff members of partnering agencies. Everyone was in attendance to celebrate the grand opening and official ribbon cutting of the new affordable housing project created to serve 14 students with intellectual and developmental disabilities (I/DDs) attending community college. From left: Angela Rodriguez, Dana Delman, Jake Perry, Dr. Mike Munoz, Kristin Martin, Assemblymember Patrick O'Donnell, Herlinda Chico, Patricia Del Monico, Clayton Heard, Elizabeth McCann. During the event program, guests heard statements of support from Assemblymember Patrick O’Donnell, as well as from representatives of Congressman Alan Lowenthal and Supervisor Janice Hahn. Executives from the C2C program partners, including HOPE, Harbor Regional Center, Long Beach City College, California MENTOR, and Social Vocational Services, each spoke to the importance of community collaboration to ensure that stable, affordable housing continues to be created for people with I/DD. For this vulnerable population, the inability to identify and secure affordable, inclusive housing in Los Angeles County presents a severe challenge to day-to-day living, not to mention the additional barriers it creates to achieving academic success. Today, an individual earning minimum wage would need to work 92 hours a week to afford a modest, one-bedroom apartment at fair market rent, while there is no county in the State of California where a person with a developmental disability living solely on SSI can afford a median-priced apartment. This extreme cost burden acutely affects this vulnerable population and serves to lock them into a cycle of poverty and housing instability. Assemblymember O'Donnell makes statement of support for affordable housing to serve people with developmental disabilities. Located just blocks from the campus of Long Beach City College (LBCC), this site is HOPE’s third property dedicated to providing young adults with I/DD a dorm-like residential experience while they complete college courses to obtain a certificate or associates degree, all with the ultimate goal of gainful employment. This new C2C location, in the Lakewood Village neighborhood of Long Beach, sits on a 17,000+ square foot lot. A charming courtyard adjoins the two neighboring buildings that include 7 residential units for students and one office unit for program staff. Students accepted into the program pay $350-$500 per month for their housing. Each C2C partner plays a pivotal role in ensuring the program’s success. Harbor Regional Center provides funding and case management, LBCC provides academic counseling, Social Vocation Services provides career guidance, and California MENTOR delivers onsite supportive living services. HOPE’s contribution to this partnership is in the purchase, rehabilitation, and ongoing management of the housing. Additional project partners include Dilworth Construction, First Republic Bank, Appleby Property Management, and Main Street Realtors. HOPE Executive Director Kristin Martin receives certificate of recognition from Clayton Heard, representative of Congressman Alan Lowenthal. Funding for this new housing included HOPE capital and foundation grants from Union Bank, Bank of the West, US Bank, Del Harbor Foundation, and Bess J. Hodges Foundation. The event program and ribbon-cutting ceremony were directly followed by tours led by current C2C students. HOPE’s other C2C properties in Long Beach include a five-unit apartment building and a four-bedroom single family home. HOPE and its partners currently serve 28 students at these three locations. Community members interested in supporting the mission of HOPE can find out more information on how to volunteer, attend future events, or donate at www.hope-homes.org.